As part of the company’s core values to provide safety tools and training to employees, Asterion is committed to conducting American Heart Association (AHA) safety training on a regular basis. The OSHA-compliant training provides critical skills required to respond to and manage an emergency until emergency medical services arrives. Skills covered include first aid, choking relief, and what to do for sudden cardiac arrest. Upon successful completion of the comprehensive course, all participants are certified for two years. To ensure a quick response to a medical emergency, multiple Asterion employees representing every area and shift of the facility participate in the training. Training received complies with OSHA General Industry Standard 29 CFR 1910.151; excerpts follow. There are several interpretation letters and sometimes, the letters of interpretation offer more details than the standard itself. 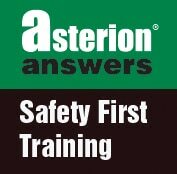 Should you have any questions regarding Asterion HSE training, please feel free to contact me or your Asterion representative. As always, “Safety First,” at work, home and throughout your travels! The employer shall ensure the ready availability of medical personnel for advice and consultation on matters of plant health. In the absence of an infirmary, clinic, or hospital in near proximity to the workplace which is used for the treatment of all injured employees, a person or persons shall be adequately trained to render first aid. Adequate first aid supplies shall be readily available. Where the eyes or body of any person may be exposed to injurious corrosive materials, suitable facilities for quick drenching or flushing of the eyes and body shall be provided within the work area for immediate emergency use. The primary requirement addressed by these standards is that an employer must ensure prompt first aid treatment for injured employees, either by providing for the availability of a trained first aid provider at the worksite, or by ensuring that emergency treatment services are within reasonable proximity of the worksite. The basic purpose of these standards is to assure that adequate first aid is available in the critical minutes between the occurrence of an injury and the availability of physician or hospital care for the injured employee.